Quick & Easy Meals. Real Food in Real Time. With Quick & Easy Meals, you don’t need to sacrifice quality for convenience. Hornbacher's offers thousands of options for an affordable, fresh-made meal that’s ready in minutes. From cook-at-home meal kits to ready-made meals, discover the Quick & Easy Meal that fits your lifestyle today. Make an affordable meal for two in 15 minutes. Our Quick & Easy Meal Kits come with fresh, prepared ingredients. All you need is a large skillet, tongs and scissors to make these chef-inspired recipes using easy step-by-step instructions. Ditch meal kit subscription fees! You can find Quick & Easy Meal Kits at your local Hornbacher's or order online for delivery or store pickup. Cook a high-quality meal without the hassle. Located in our Meat Department, our Quick & Easy Cooking Bags and Oven Tins offer fresh, delicious meals that are ready in minutes. Choose from a wide selection of freshly marinated or seasoned meat and fish options that come in a microwaveable steam bag or oven-ready tin. For a side, pick up a microwave steam bag of fresh pre-washed, pre-cut vegetables. Take a night off from cooking! Stop by the Hornbacher's Deli for a variety of fully cooked meal options. All you need to do is heat it up at home! Choose pre-seasoned taco meat, rotisserie chicken, pre-shredded chicken, or chicken breasts, wings, legs and thighs as the main course for a meal at home. Or pick up a full-course meal – from spaghetti and meatballs to meatloaf to teriyaki chicken. Just heat and eat! Short on time? Hornbacher's has it covered! Stop by the Hornbacher's Deli and pick up a ready-to-enjoy meal for lunch or dinner. With a wide range of pre-cooked, pre-heated options, you can find an instantly delicious meal whenever you’re on-the-go. 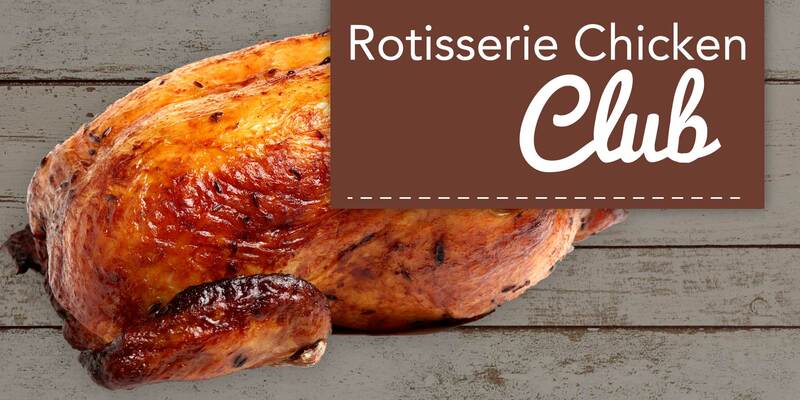 Purchase six Rotisserie Chickens from our Deli and receive the seventh one FREE! 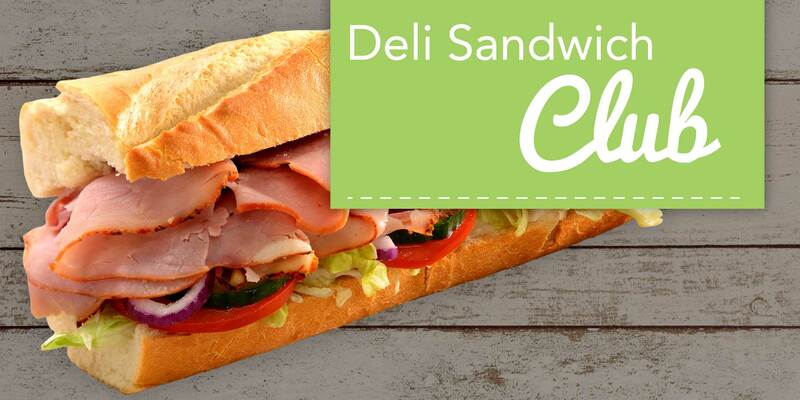 Purchase six Deli Sandwiches from our Deli and receive the seventh one FREE! 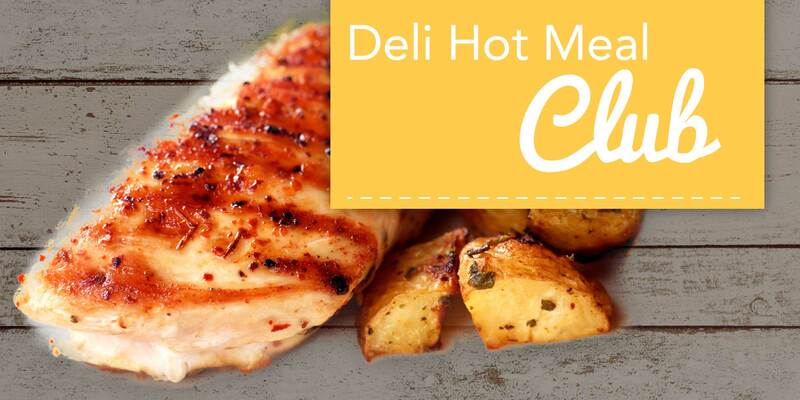 Purchase six Hot Deli Meals from our Deli and receive the seventh one FREE! 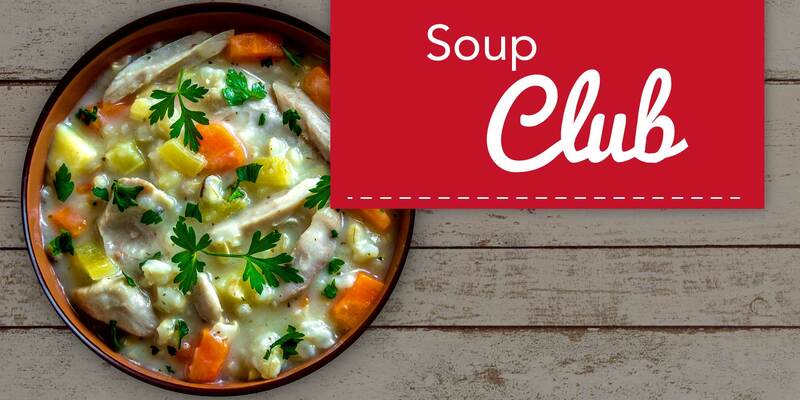 Purchase six Soups from our Deli and receive the seventh one FREE! 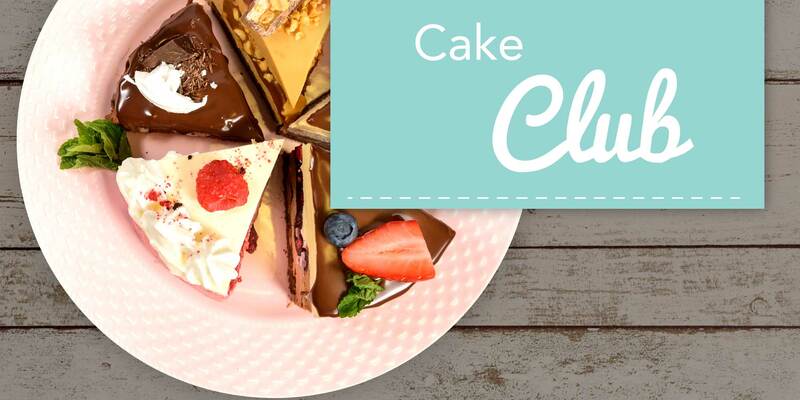 Purchase six Cakes from our Bakery and receive the seventh one FREE! Make sure to scan your rewards barcode every purchase, and track your progress by logging in below. You don’t have to be a grill master to have the perfect cookout with Quick & Easy ready-to-grill meal solutions. Hornbacher’s gourmet pub burgers, smokehouse gourmet flavored bratwursts and pre-assembled kabobs are made fresh in store with delicious ingredients. Hornbacher’s meat department also carries an assortment of pre-seasoned and pre-marinated chicken, ribs, steaks and more. Pick up your favorite today and get grilling. Quick and Easy Meals are even easier with Hornbacher's meal delivery service. Order online and get affordable, restaurant-quality meals delivered right to your door. Plan your week with Quick & Easy Meals and use Hornbacher’s food delivery service for meals delivered to your door step. Meal planning and grocery shopping just got easier at Hornbacher's!